I admit it, Lyle Willits is one of my all-time favorite model builders. His tastes in automotive subject are completly in line mith mine. 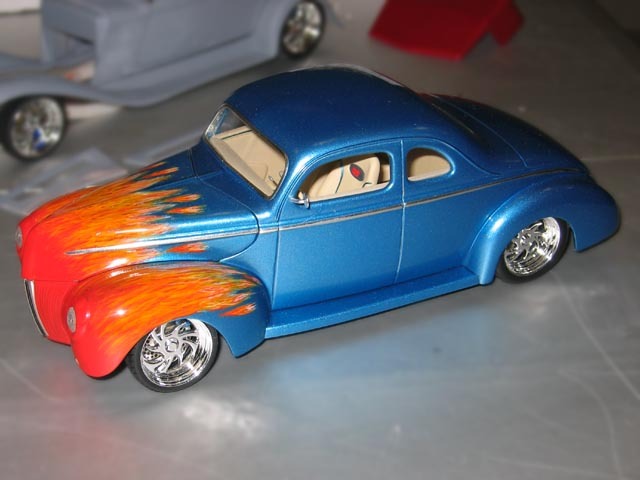 But even if you are not into customs or street rods, this model's paint job still makes it one appealing model. Lyle is noted for his woodgraining technique to make plastic look like wood, and now he's turned his talent to setting plastic aflame without melting it down.